…Ultimately, the absence of strong women holds the key to Frankenstein’s main themes. When women are not allowed to have a voice, or to play important roles in society, Mary implies, loss ensues. Unchecked male ambition will lead to destruction, injustice, and devastation. Frankenstein is the story of one man’s obsession with the creation of life, and his subsequent abandonment of his creation. It is a study of guilt and innocence, creativity and destruction. But it is also a cautionary tale. By fearing the stranger, by abusing the vulnerable and the outcast, society creates its own monsters. 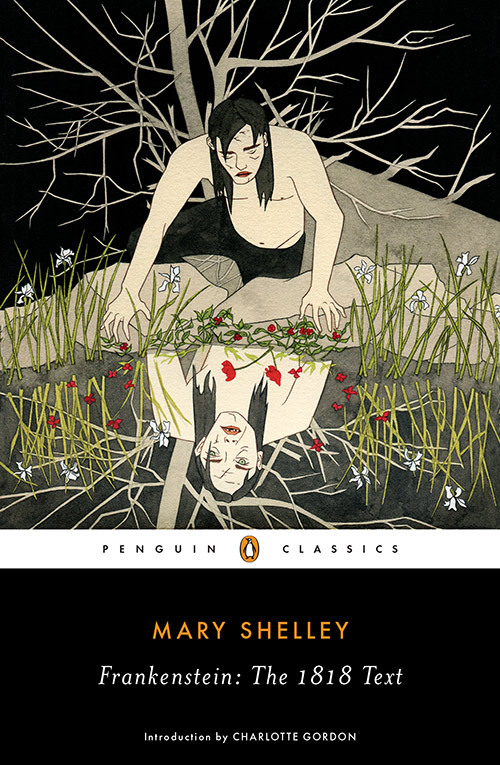 I encourage you to buy the new Penguin Classics edition with a beautiful cover illustration by Marci Washington, but you can also read the full text online at Archive.org.